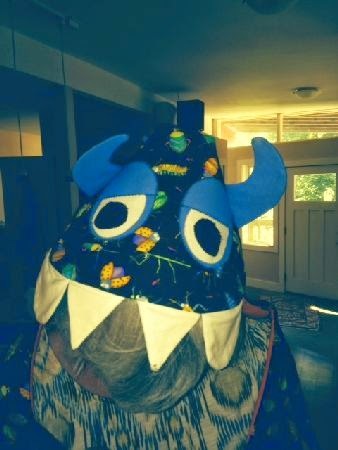 The first finish for the August parade came in on July 2 -- Martha in Idaho was getting ready for summer travels, so she finished early this month! 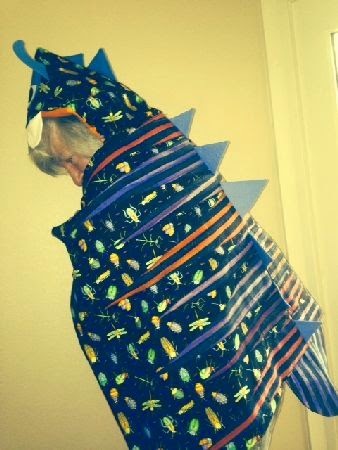 This is a "nap monster" wrap for a pre-schooler. Isn't it clever? Joy's July finish needs three photos to tell the story. A Pocket Full of Rulers! I know...I know...it's not a quilt, but it is a 3 yr old UFO. 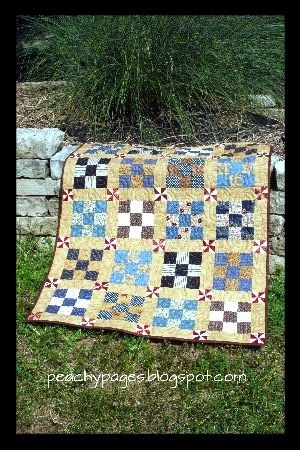 I bought the pattern and fabrics in 2011 when my Mom, sister, and I Quilted Across TX. 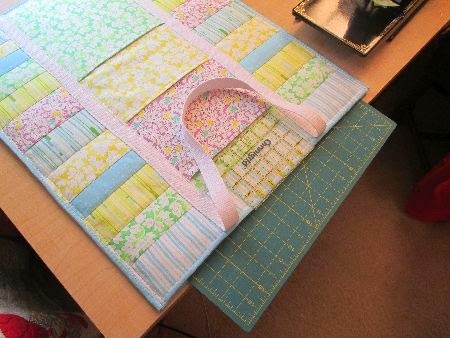 The bag by Bella Nonna features pockets for rulers and my 17x23 cutting mat fits inside. 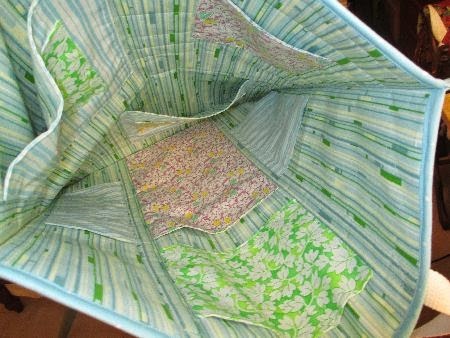 It is perfect for carrying my cutting supplies to TX on our annual quilting retreat and to classes around town. It was quilted in 4-layers, and then sewn and bound together. Joy sent the link for the designer's website, in case you need one of these also: it's Bella Nonna. Reyna is a newcomer to 52 quilts, who heard about the UFO Challenge from Elisa. Reyna started this jelly roll quilt in October 2012, and says she tells all her friends about the Challenge because "we all have so many UFOs!" And isn't this back wild? Wait! Here is another finish by Debra! And I thought quilters took the summer off! This is "Metro Main Street" from Harriett Hargrave's Quilter's Academy Vol. 2 - Sophomore Year. 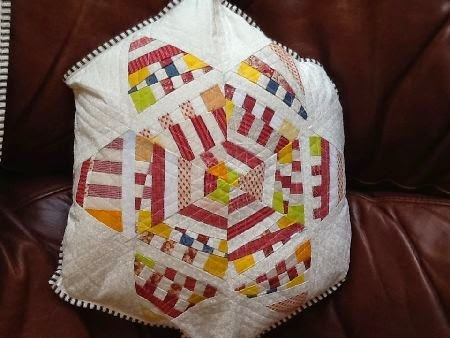 Deb says she has trouble with on-point quilts, but Harriet's instructions are helping her get over her fear on diagonal sets. I'll say, Deb! She also made a second of Bonnie Hunter's "Orca Bay." 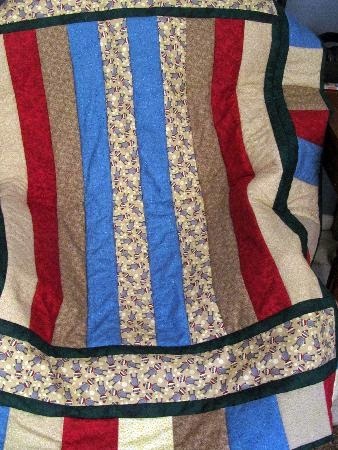 I love Bonnie's quilts, but they do have a lot of pieces! So many, in fact, that the last row isn't yet attached. 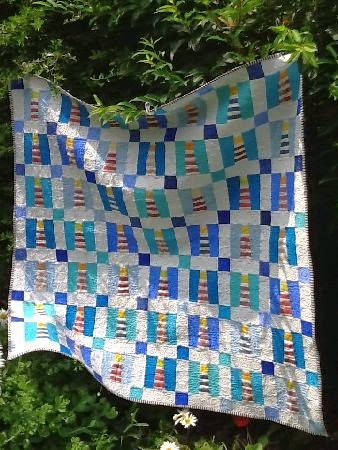 Debra's "Orca Bay" will be the first quilt in the September UFO Parade. I have to share Gill's description of summer, because it made me laugh! The summer is great sewing time for me because my boys are at home for the holidays, so I can sew each morning before we go out and do activities together - instead of the usual packing of school bags, packing my work bags, making breakfast and driving the boys to two different schools in two different directions then on to work before doing the school runs in the opposite order at the end of the day, then driving between sports clubs and activities! Now we can relax. I'm a School Psychologist so the summer is nice and quiet for me. So the opposite of most people - summer holidays are sewing time! And this "peg bag." 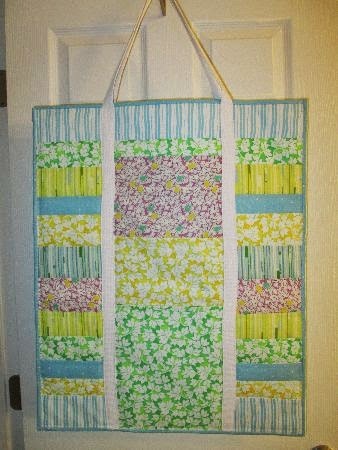 We call clothes-pegs "clothespins" here, and I need a bag like this to use on my clothesline! I love to hang sheets outside to dry, it makes them smell so fresh! 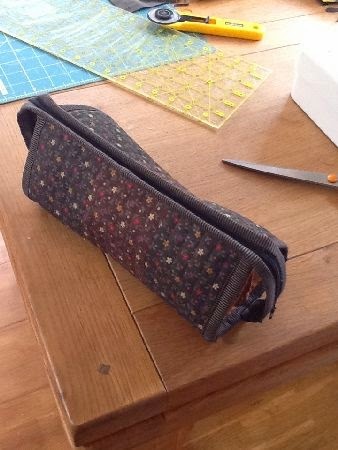 Did you see my post about my Sew Together bag? Gill made one, too! Love these fabrics, Gill. Way to make good use of your summer vacay! I think Elisa wins the "oldest UFO in history" prize with this one from 1988. Isn't the quilt holder a darling? Be sure to go to her blog, here, to read the story. Mary has a quilt in the current issue of Modern Quilts Unlimited. Since it was to appear in the magazine, she couldn't share it until now. Which also meant the binding didn't get finished until July -- hey, it counts, Mary! 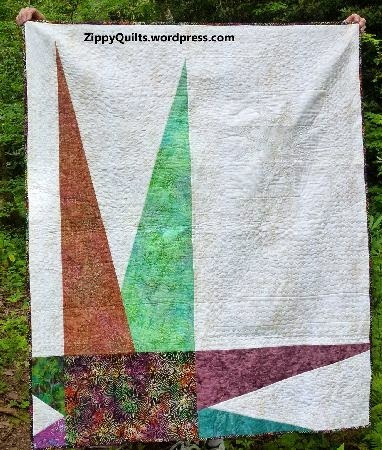 Here is Mary's blog post at Zippy Quilts about her quilt. The magazine is now available at Barnes & Noble and JoAnn, but I subscribe online because I hate to wait for the paper copy! 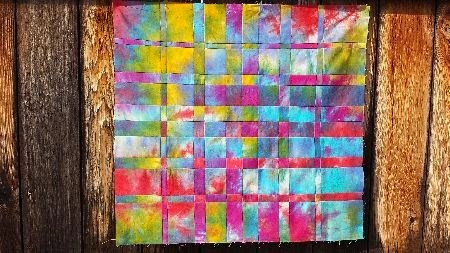 Here is a link to Modern Quilts Unlimited if you want to go digital, too. I will definitely be making this quilt, Mary. Congratulations! 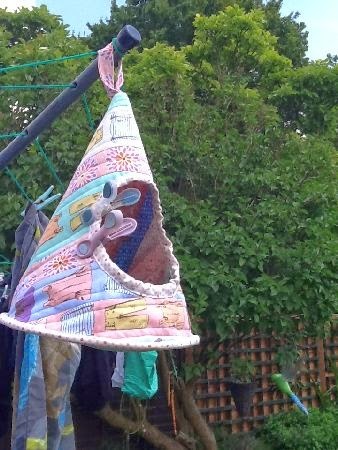 You'll have to go to her blog, Sue's Quilty Bits and Bobs, to see the back and how she finished it. Here are two more -- Sue is ahead on her Christmas gift list, isn't she? 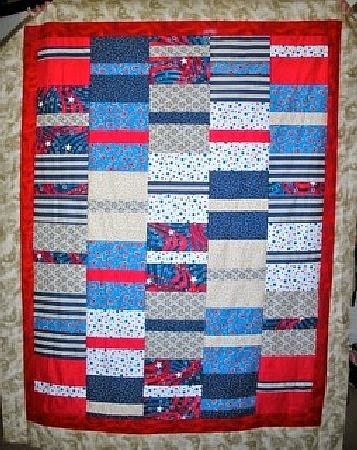 Irene made this darling "sock monkey" quilt for the grandson of her college roommate. It's "quilt as you go," so when it's pieced, it's finished! Details on her blog, A Serendipitous Retirement. 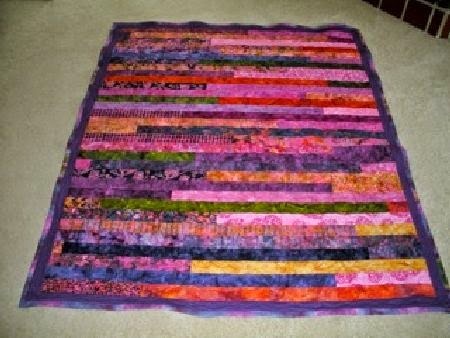 Irene, I hope you will include the pattern source when you blog this quilt. 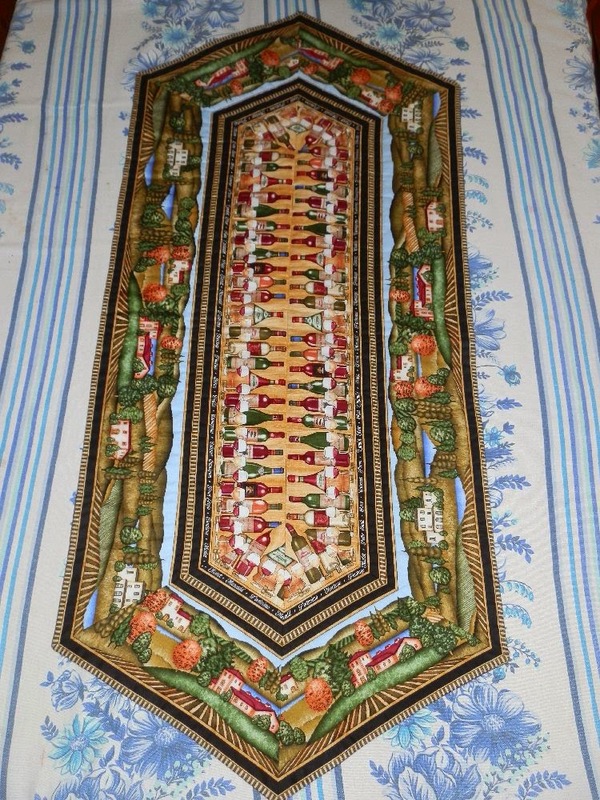 It looks perfect for Quilts of Valor. Designer Pam Buda makes another appearance in this month's parade. This time, with a quilt finished by Heather. 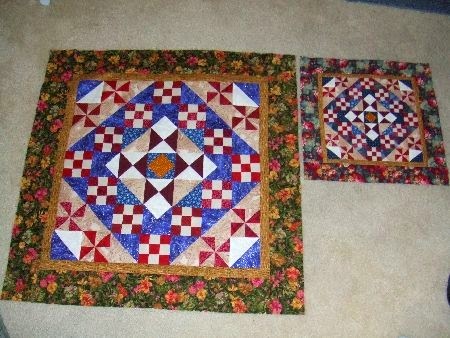 I love how Heather used the leftover pinwheels from "Lockridge Mill," her June finish. Really, you should go to Heather's blog, Peachy Pages, to see the close-ups of this beauty. 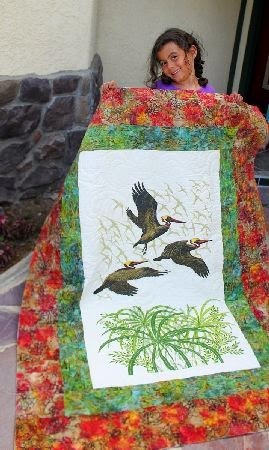 I laughed and laughed when I read Sandi's description of sewing her July finish on her blog, KwiltnKats. 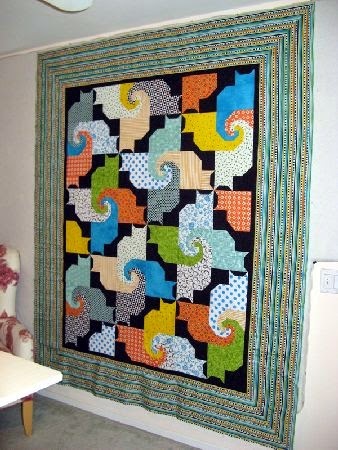 I made this same quilt a few years ago, and about tore out my hair making the cats' tails match up right! 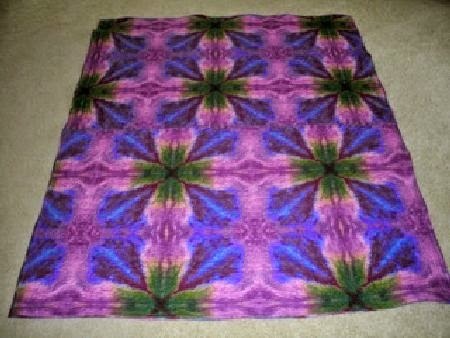 Sandi, your "Kool Kats Kwilt" turned out great! Noela has one lucky sister. Noela made this cute "wine bottles" table runner for her birthday. Of course, we call it "apple juice" here. Be sure to click on the photo so you can see the bottles! I can't wait to see what she does with the quilting on this one! Becky is another multiple-finisher this month. 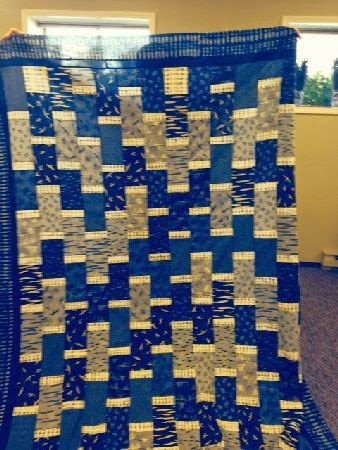 First, a "quick" charity quilt for Project Linus. Becky says, "At least, the top went together quickly, but then it sat on a shelf for about 8 months. I got my friends in The Knotty Club to help me tie it and bound it with Susie's Magic Binding (of course!) so it can finally go bless a child." 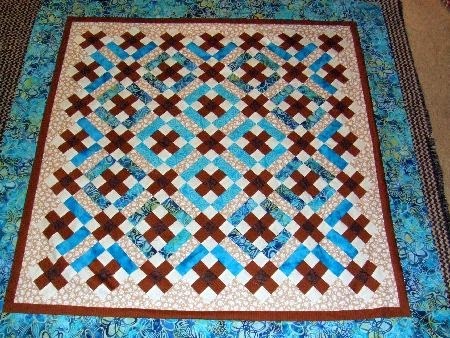 Her second finish is also being donated, this one to Quilts of Compassion which I heard about on Bonnie's blog. It should get to them in time for their August deployment to help tornado victims in the Midwest. 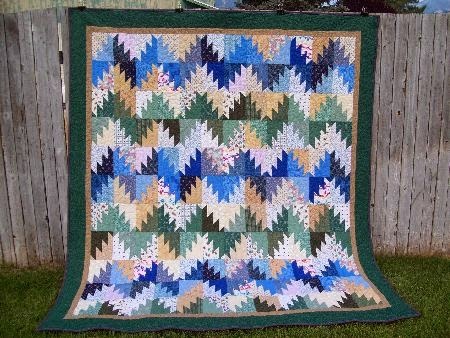 The pattern is from Bonnie Hunter, "Scrappy Mountain Majesty." Well done, Becky! Your generosity will be rewarded. Whew! That's a lot of finishes for the summer holidays -- 23! Mr. Random chose Reyna as the winner of the UFO Parade giveaway. 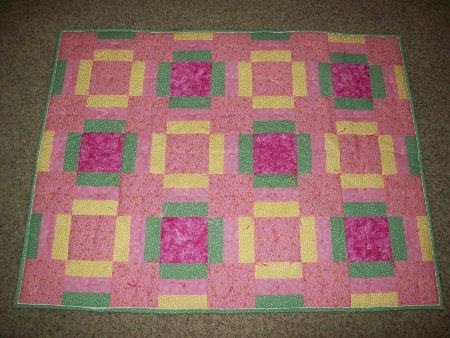 I have two packets of "candies" (2.5" squares) and a Miss Rosie's Quilt Co. pattern for you Reyna. Today is the Rocky Mountain Quilt Fever Shop Hop -- so I should have some fun new stash to share on Sunday. Come back and see! Why do I keep looking at all these marvelous works of art? So many quilt patterns, so little time! I do have the information for my quilt pattern on my blog at www.aserendipitousretirement.blogspot.com an old pattern from Debbie Mumm. Wow that was a real bumper crop of finishes this month. Way to go everyone! Loved the post on July's finishes especially Joy's bag so I ordered the pattern first thing. Thanks for the "you can do this too" post, Sew on! Such a nice variety of quilts, and I loved seeing the craft projects, too! I hope you do make the Zippy Star--it's so fun and easy! Thanks for the impetus to finish something each month!